The pedigreed institute of NMIMS continues to attract some of the best companies thereby giving its students a perfect platform to soar high in life. NMIMS Hyderabad witnessed record final placements with a 20% increase in the average CTC offered and 14.2% increase in the median CTC. 28 new brands recruited from the campus this season. Top 50% of the recruited students secured an average CTC of Rs. 13.10 lakh while the other 50% bagged an average of Rs. 10.35 lakh. Cent percent placements were achieved with a highest CTC of Rs. 25 Lakh and with 87 offers from 40 organizations. The students were absorbed into diverse roles across varied sectors like Consulting, E-Commerce, Manufacturing, Engineering, Education, Finance, I.T., Infrastructure, Telecom and others. ADP, Deloitte, EMA Partners, Café Coffee Day Beverages, CricClubs, Himalaya, Tech Mahindra were amongst the first time recruiters. The corporate partners include many cream companies like ICICI Bank, KPMG, Genpact, Infosys, TVS, Moody’s, Deloitte, EA Sports, Invesco, Dr. Reddy’s Foundation, Airtel, Novartis, Aditya Birla Group, Oracle, Tech Mahindra, Schindler, CRISIL, Bajaj Finserv, Federal Bank and others. NMIMS Hyderabad has another fantastic summer placement season with 100% placements for the batch 2018-20. Following the trend across the best B-schools in the country, our students devote a period of eight weeks in augmenting their theoretical learning with practical experience by interning in the corporate world. The industry exposure is even more significant for freshers as this is the first time they get hands-on real time experience with the corporates. At NMIMS Hyderabad, the summer internship program duration is of 8-10 weeks based on the requirement of the corporates and starts from the first week of April and lasts till the end of May. NMIMS Hyderabad started operations from 2010 and is located at Tarnaka, which is easily accessible from the throbbing nerve-centers and IT hubs around the city, like Gachibowli, Hitech City, Madhapur, Shamsabad Airport. 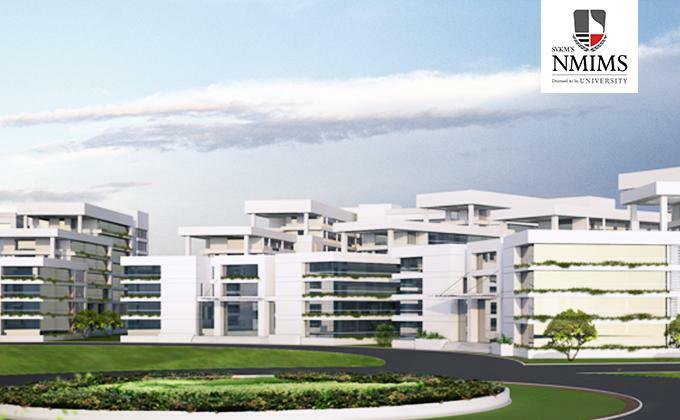 It is a 90 acre sprawling campus and is being developed as one of the best campuses of NMIMS. NMIMS Hyderabad understands the pulse of the jobs market like no one else and trains its students in a holistic way thereby giving them opportunities to be picked up by the influential leaders of the industry.